The new Dynaudio Contour range has arrived in our Oxford Store. Consisting of four models Contour 25c Contour 20 Contour 30 and the mighty Contour 60. In this blog I will be concentrating on the Contour 20's stand mount loudspeaker. Dynaudio is a Danish loudspeaker maker, founded in 1977 with a pedigree. Dynaudio builds exceptional quality loudspeakers for home systems, professionals and cars. Products from its professional division are used as studio monitors in recording studios across the world. The Contour 20 speakers are a large rear-ported design stand mount speaker, with a solid machined aluminum front baffle set into a beautifully finished multi-layer cabinet. Each speaker has completely new woofers, designed especially for each model, while all the speakers use Dynaudio's Esotar 2 tweeter, previously found on the company's flagship speakers. In store we have tested the Contour range with multiple electronics brands. We found they really start to sing when partnered with high end, high current amplification. However you don't need to spend a fortune to get a great sound from them. We loved the sound the Contour 20's produced when partnered with the Quad Artera Pre/Poweramp combination. You can easily spend many times that amount on electronics and you will continue to release more detail, clarity and enjoyment from these amazing speakers. The Contour 20 faces stiff competition at this price point from the likes of the Focal Electra 1008 BE and the Kudus Super10. All three of these speakers are superb, however, in our opinion, the Contour 20's deliver class leading stereo imaging, substantially better depth, bass control and a fantastic mid-range that the competition cannot match. The Contour range are available in the following finishes: Walnut Satin, White Oak Satin, Piano Black, Piano White, Rosewood High Gloss and Bubinga High Gloss. 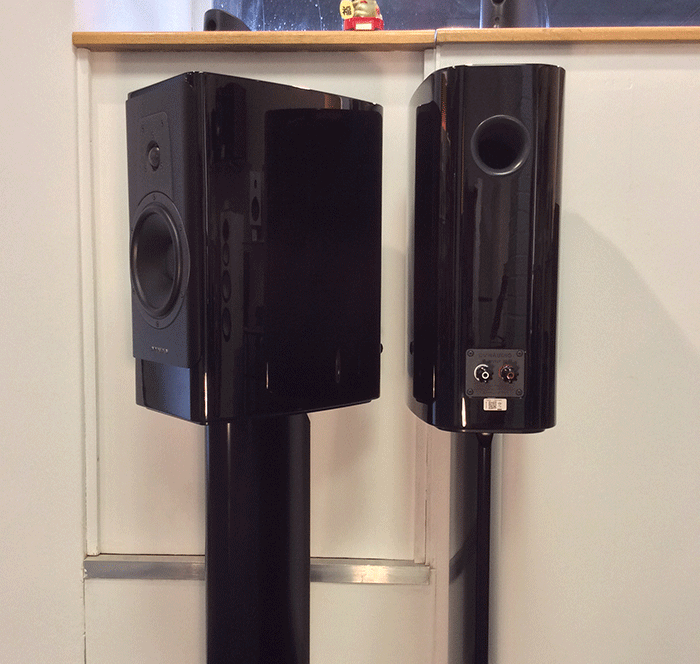 Dynaudio offer a matching stand for the Contour 20's that are available in Black and silver. As you can tell we love the speakers, and think you will too. If you would like to have a demo please call us on 01865 765 961 and talk to Jon, Dom or Paddy.